First being introduced to the company Crystal Spring last month through The Vegan Kind, they kindly supplied their crystal deodorant so when I was contacted asked if I would like to get more involved with the company, I thought why not as I've quite liked their deodorant, it's taken me a while to get use to as it's slightly different from what I'm used too but I've had no issues. 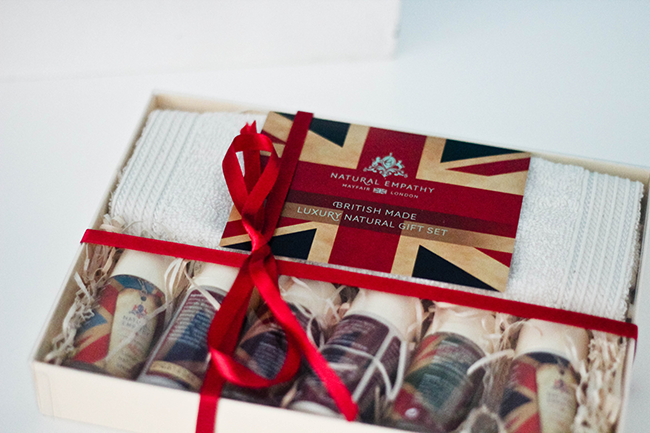 I was sent their Great British Travel Gift Set*, containing 6 x 30ml products & a bamboo wash cloth. I have never used a bamboo wash cloth but from researching it's an ideal cloth material to have, gently exfoliates, anti-bacterial and naturally absorbs a lot more and honestly has to be one of the softest cloths I have touched. It's baby soft, ideal for anyone. Luxury Natural Shampoo & Conditioner. Free from parabens, alcohol, mineral oils, animal derived ingredients and SLS. The shampoo has an amazingly fresh scent, I can't stop smelling it as I'm typing this only because it's almost soothing and has a comforting effect. The conditioner has a different smell, not as pleasing for me at first but it does release a nice smell after a while. Wonder how great these are for curly hair like mine. There's also a hand wash, hand lotion, shower gel & body lotion. What I've noticed through smelling these all the water based products have a similar smell and all the creams carry a similar smell(?) I hope it's not just my senses and this is the case. One of my favourites out the six is the hand lotion, it's moisturising without leaving an slip to my hands, absorbs nicely and let's me get on with whatever I was doing, I hate using some creams that just sit on my hands and I need to go wipe off the excess cream - slip'n'slide hands! What do you think of this little travel gift set?